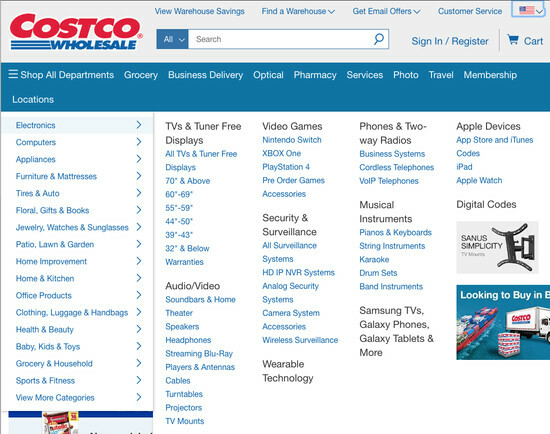 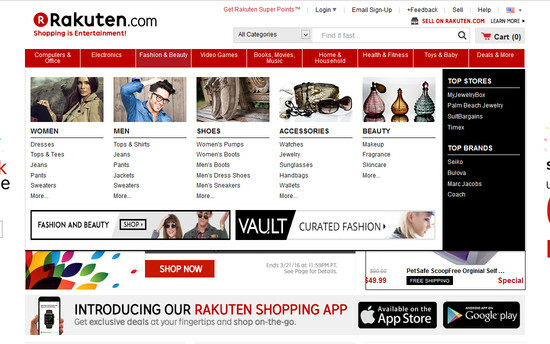 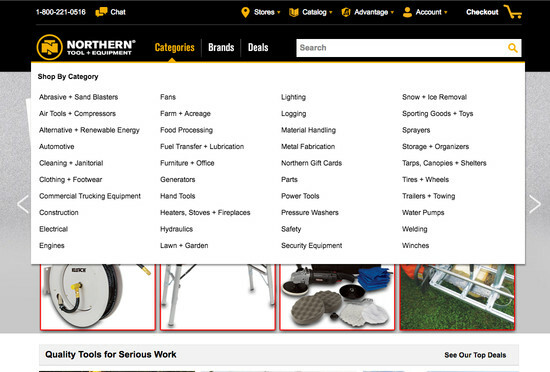 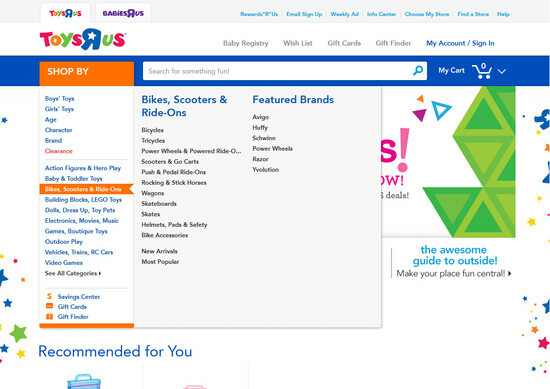 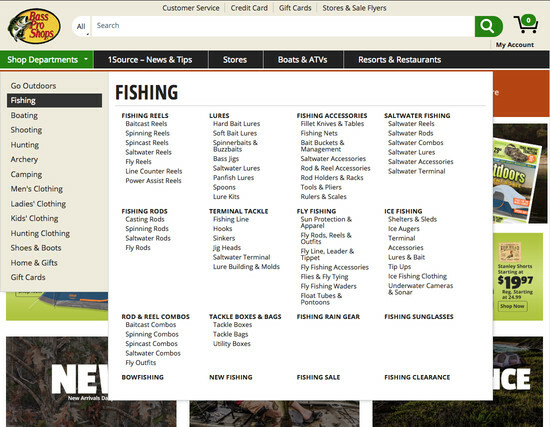 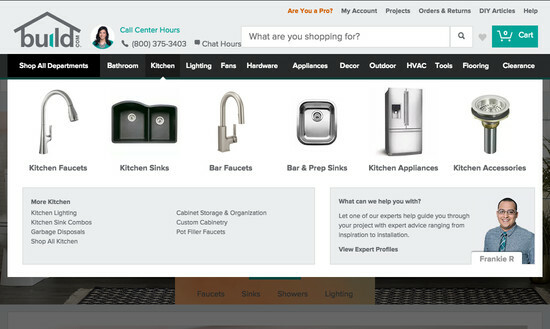 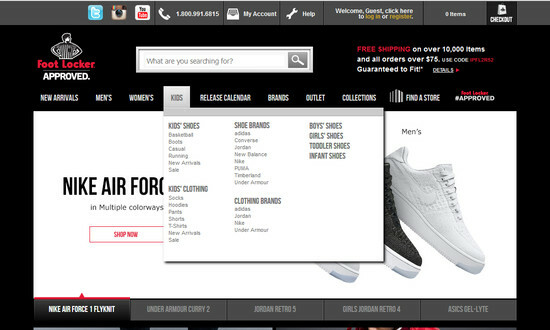 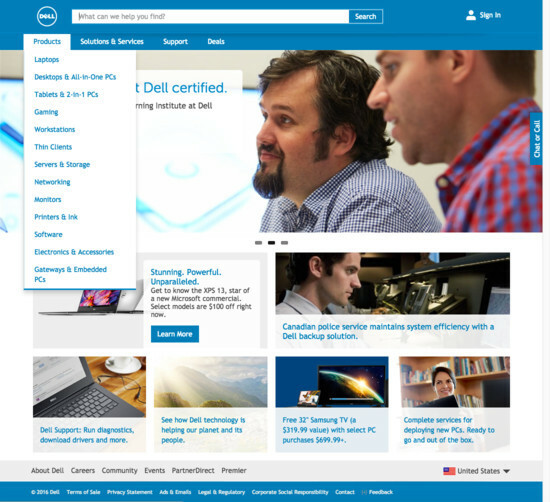 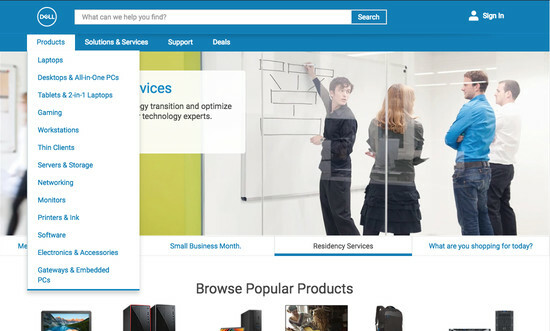 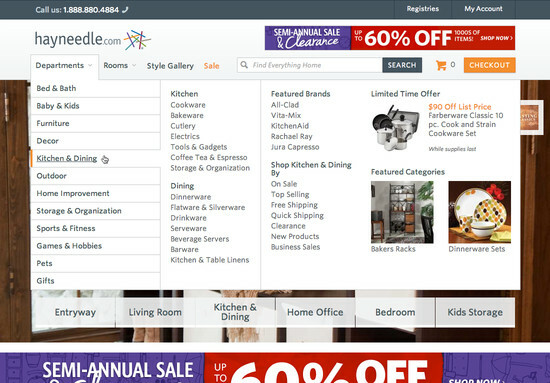 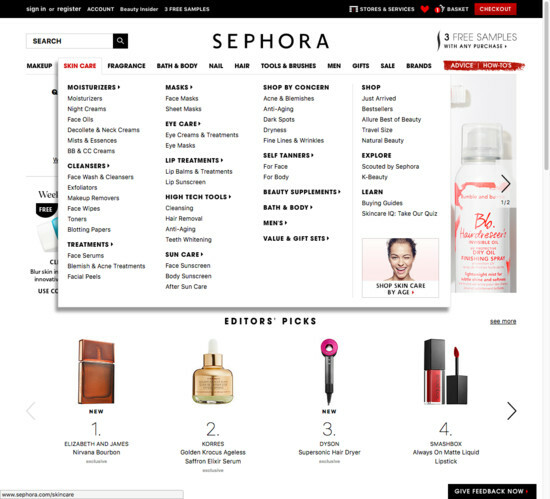 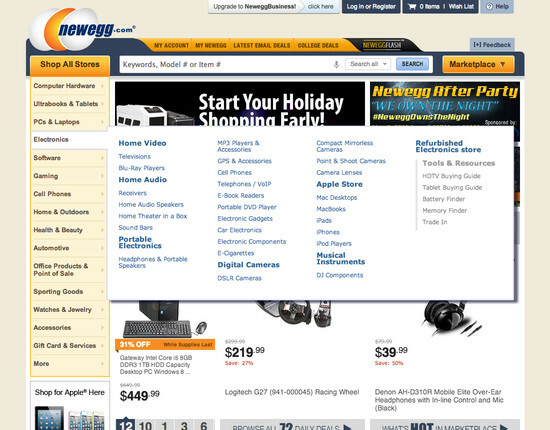 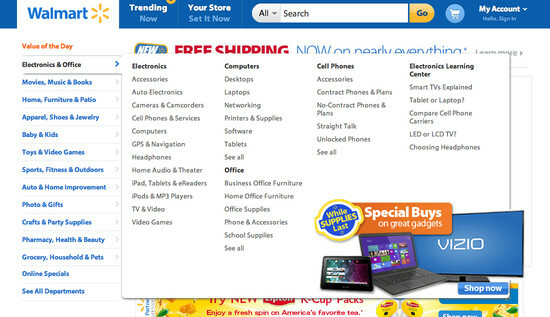 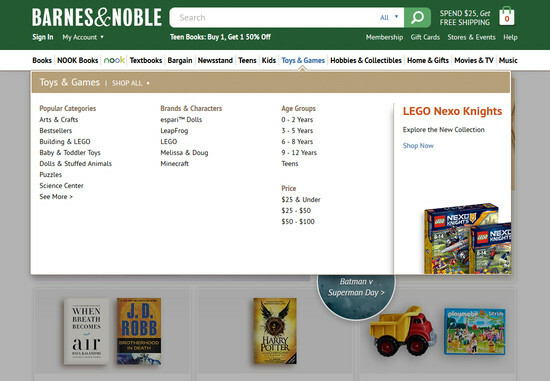 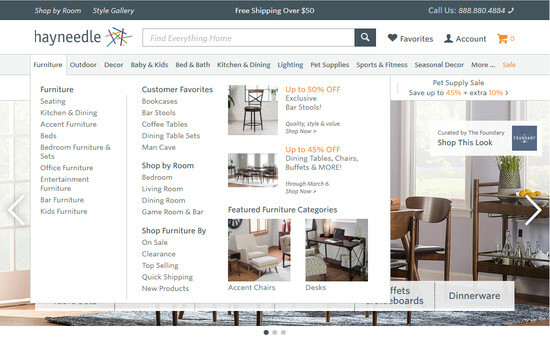 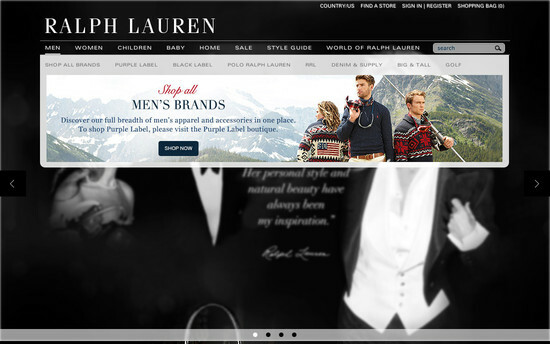 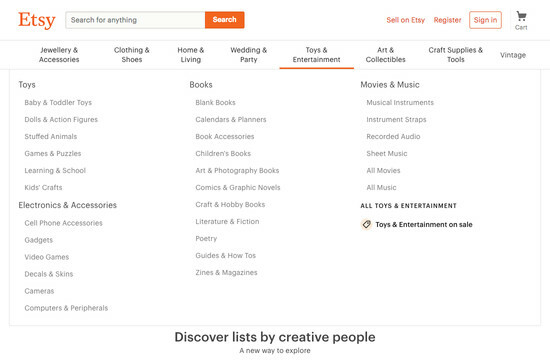 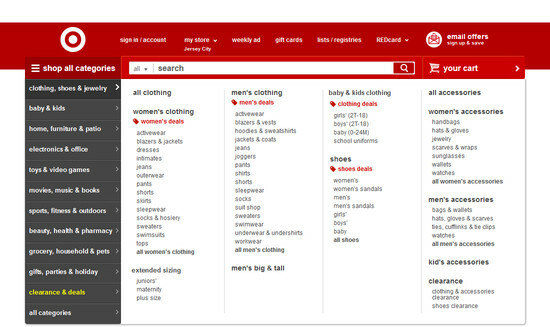 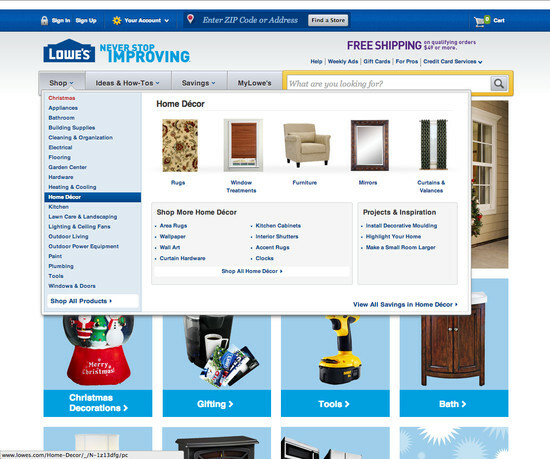 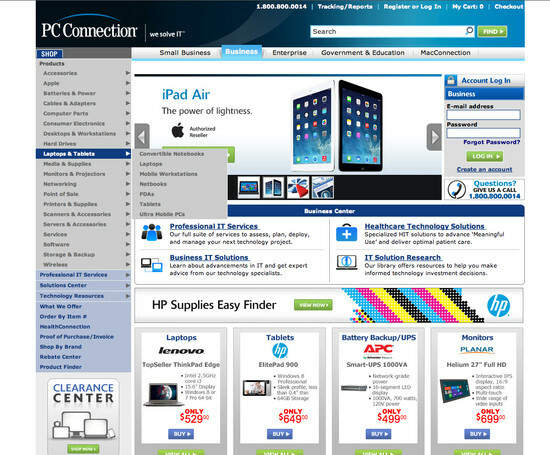 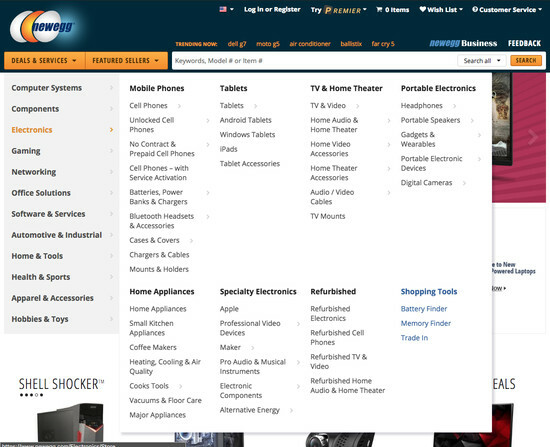 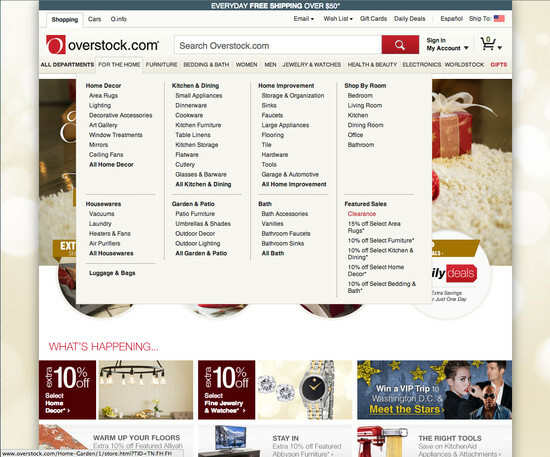 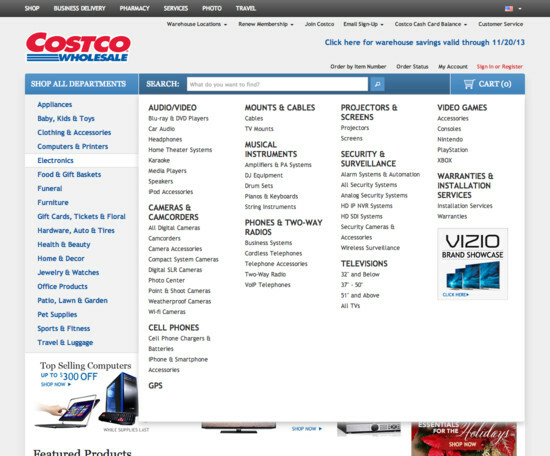 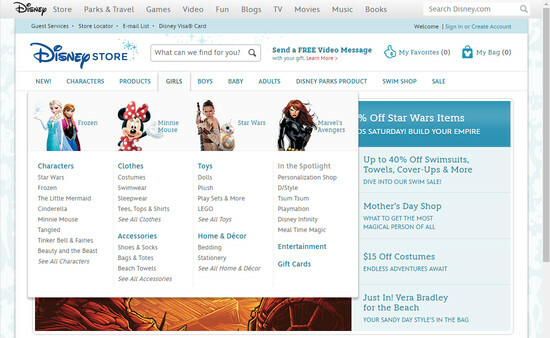 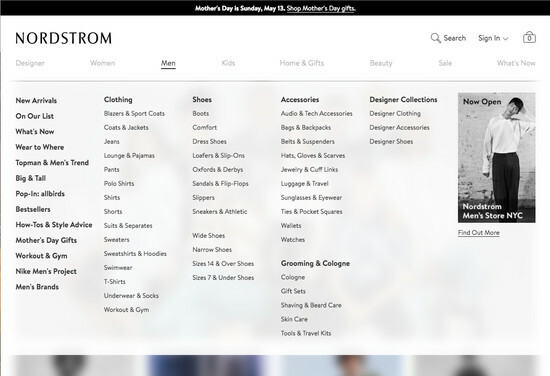 Having a user-friendly interface for the main navigation drop-down menu is as important as having a solid underlying category taxonomy, as what the user sees and interacts with largely determines if they will be able to navigate the site intuitively or are halted every time they try to browse the site’s categories. 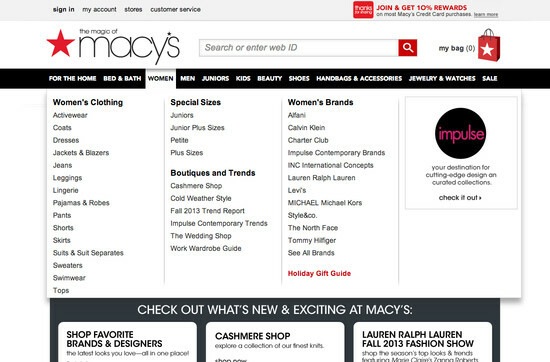 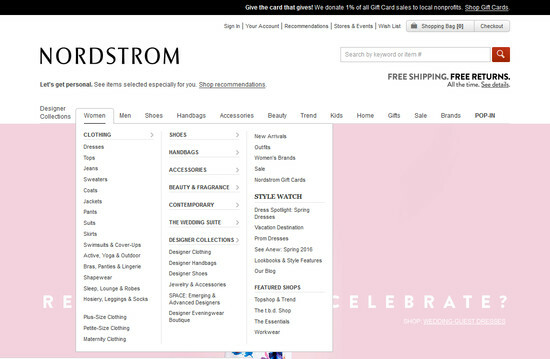 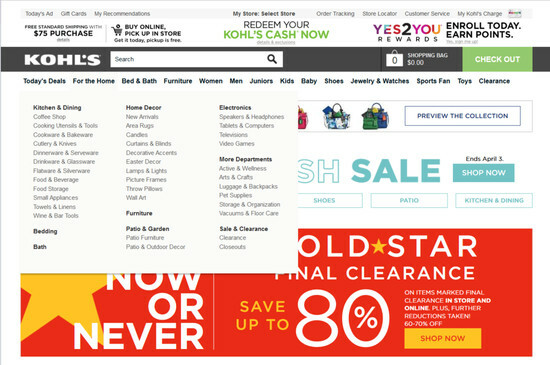 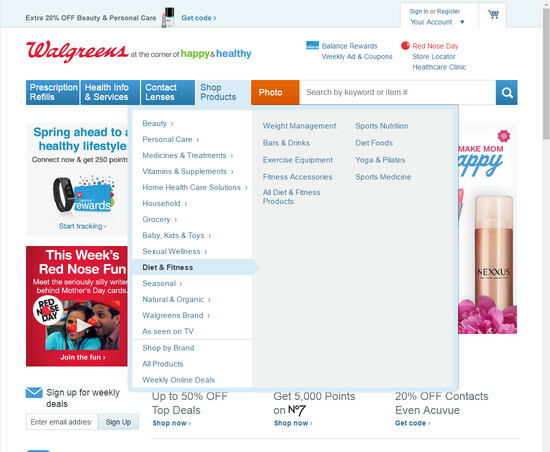 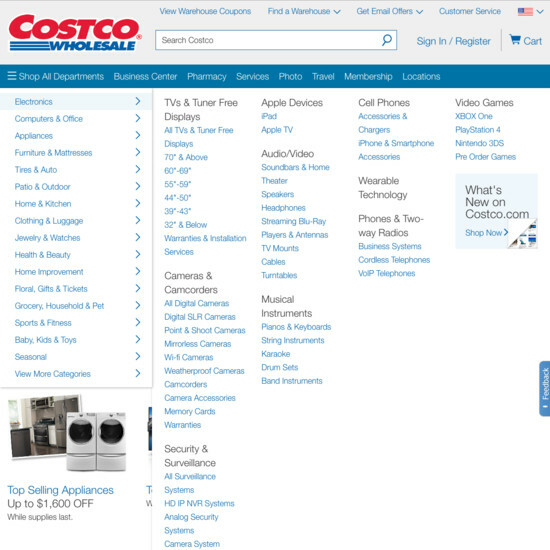 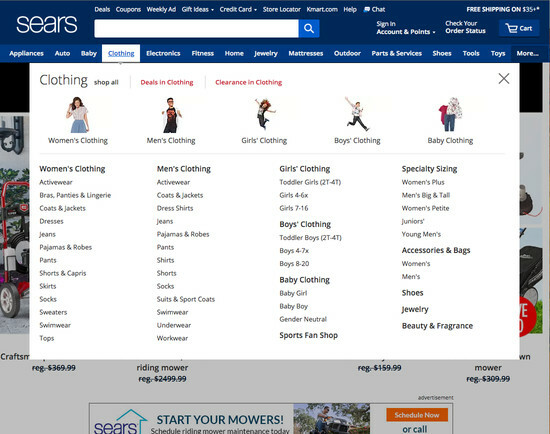 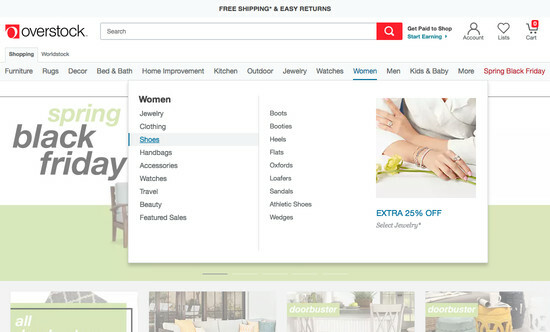 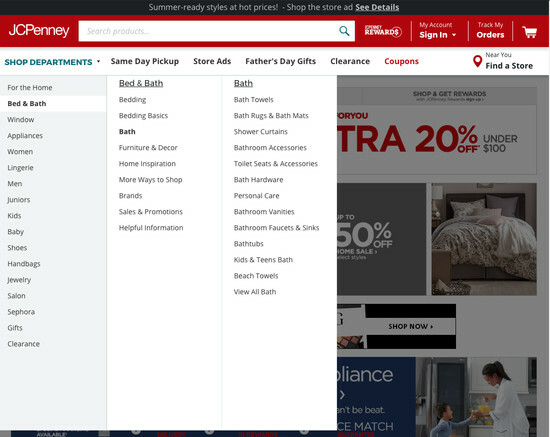 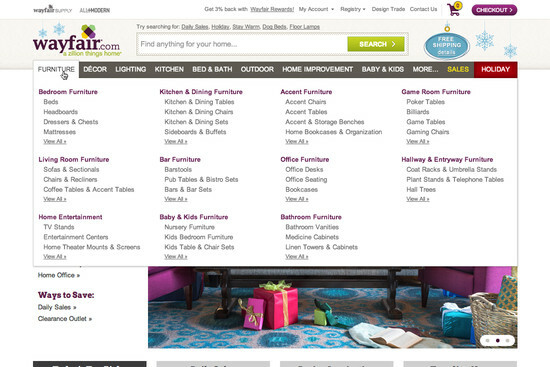 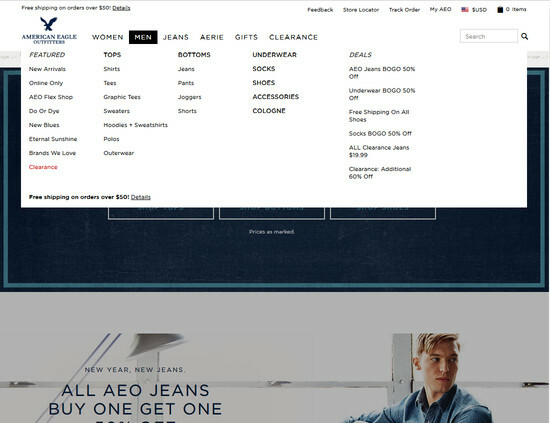 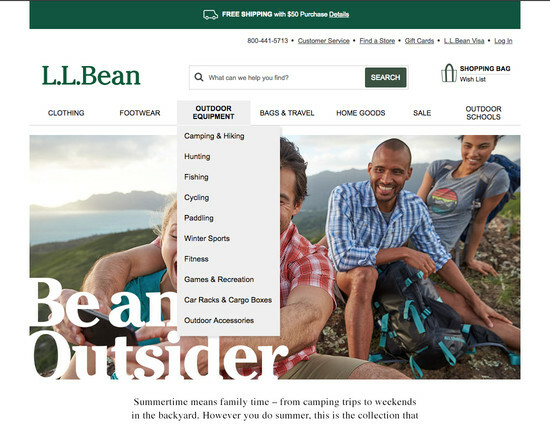 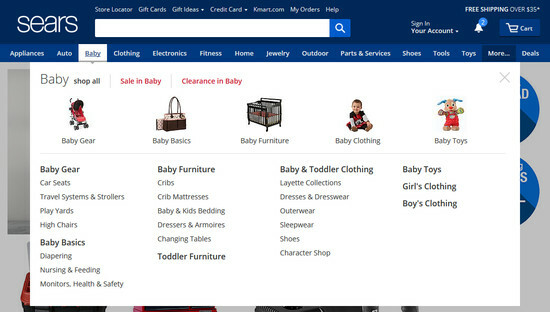 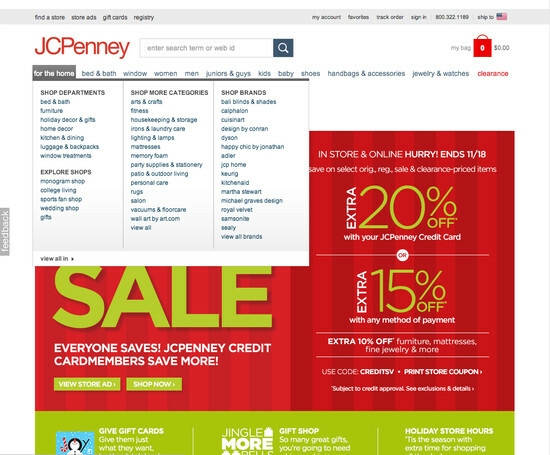 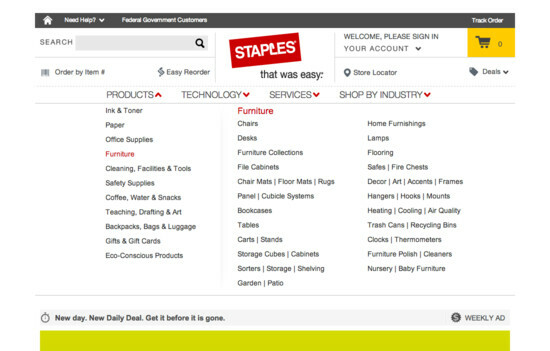 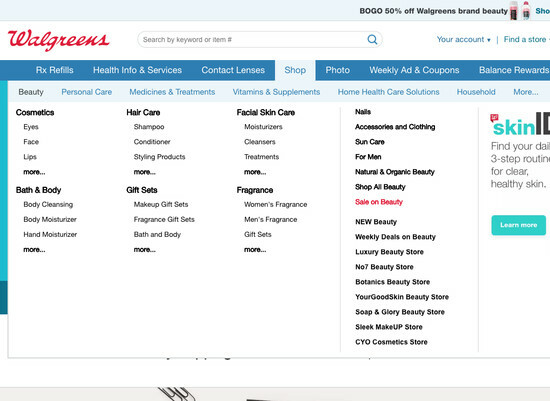 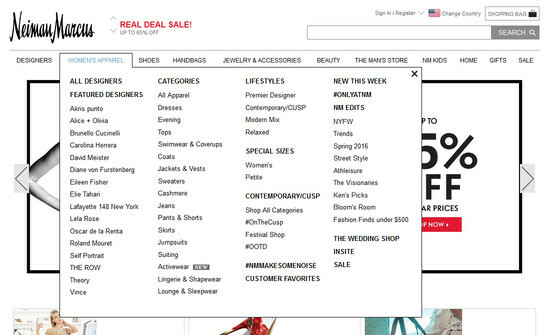 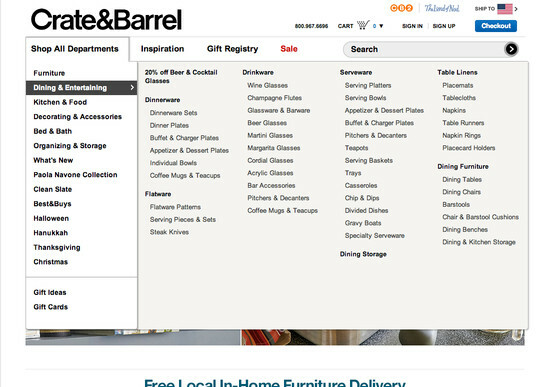 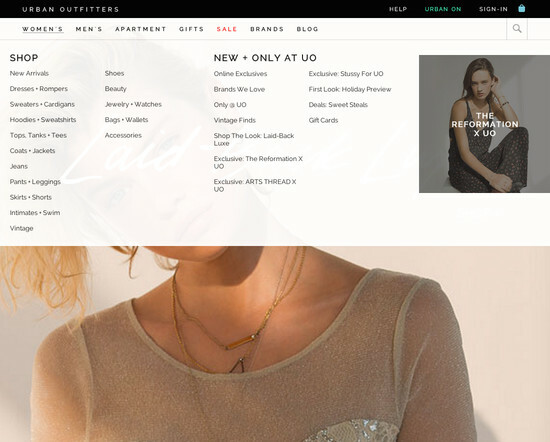 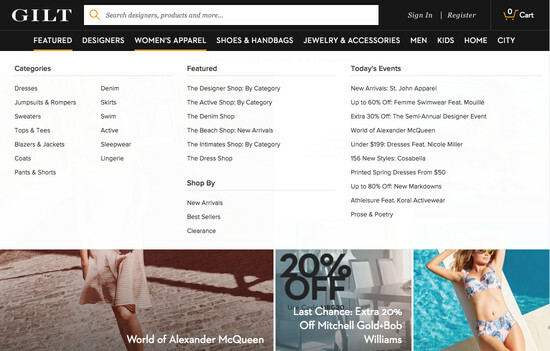 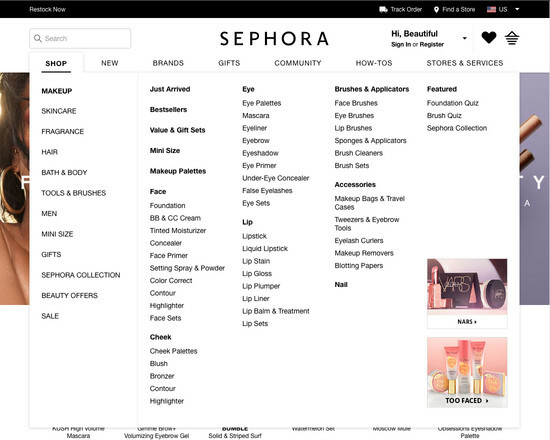 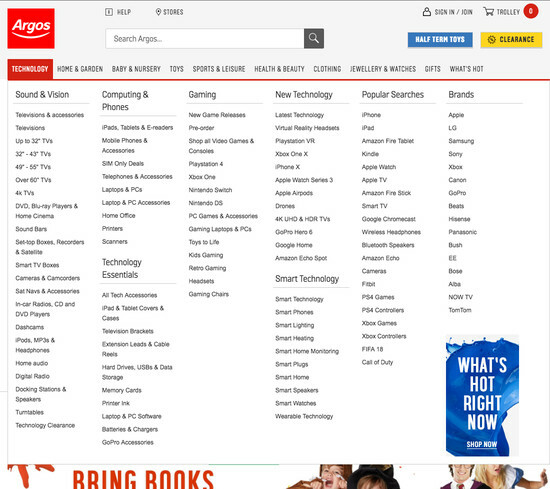 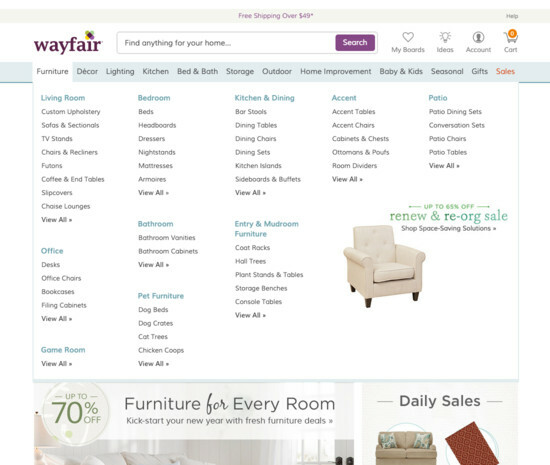 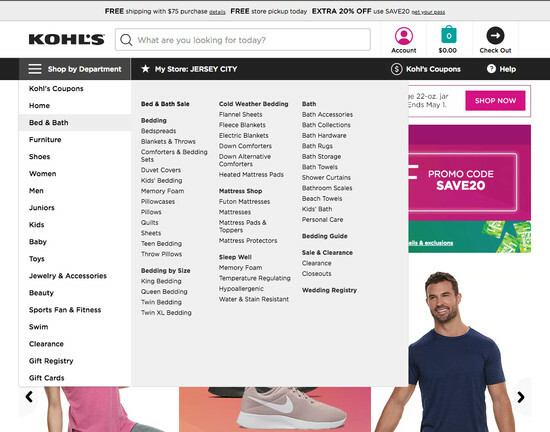 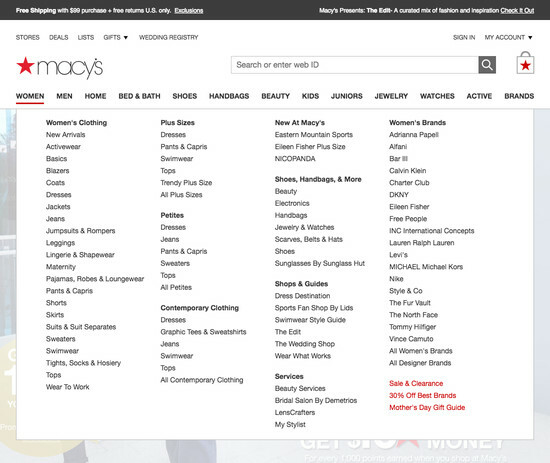 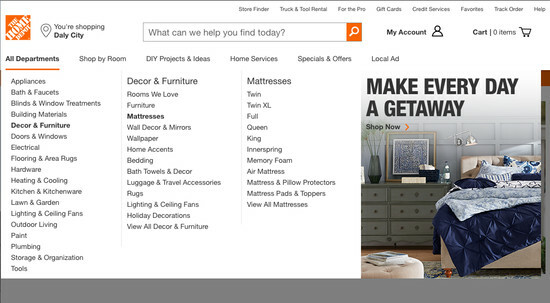 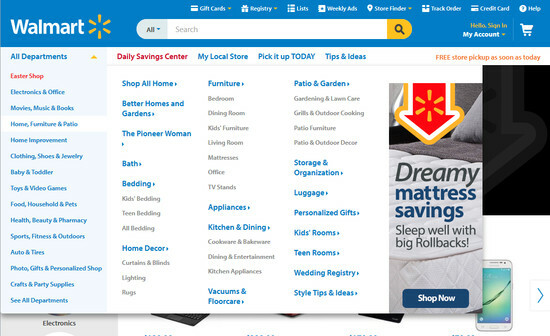 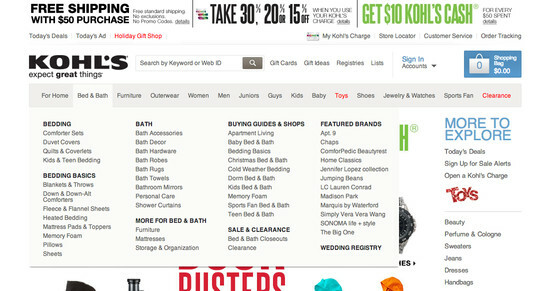 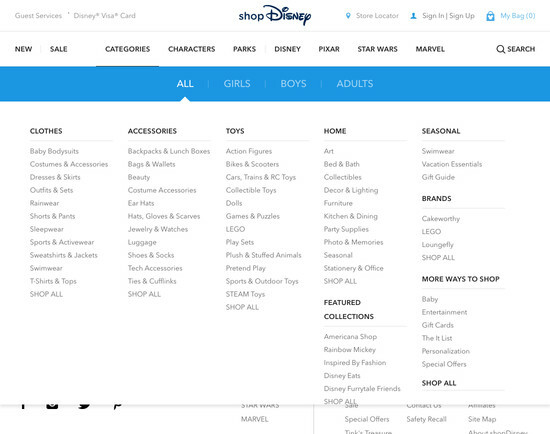 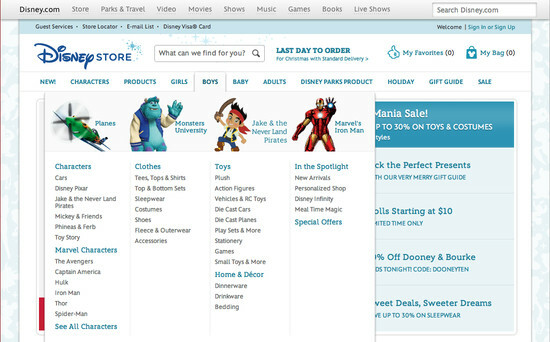 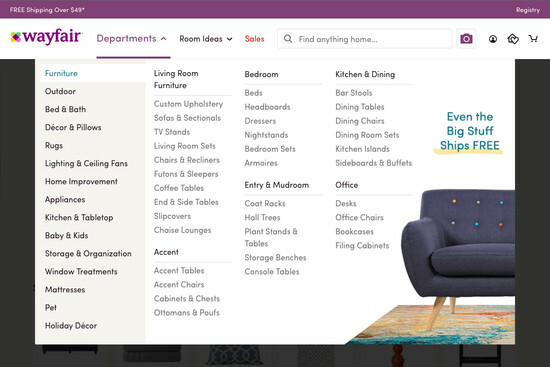 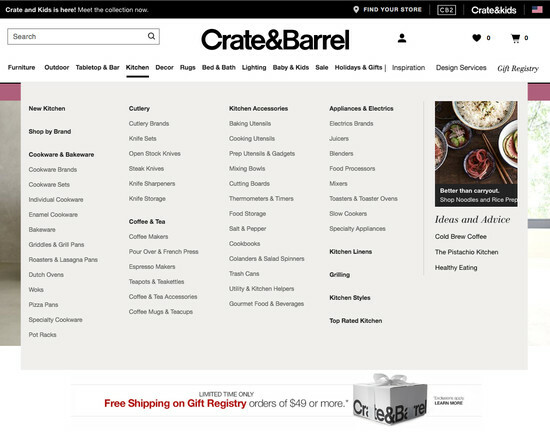 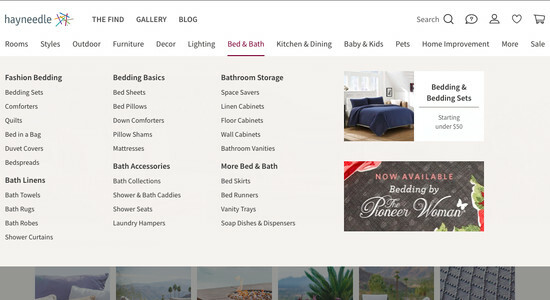 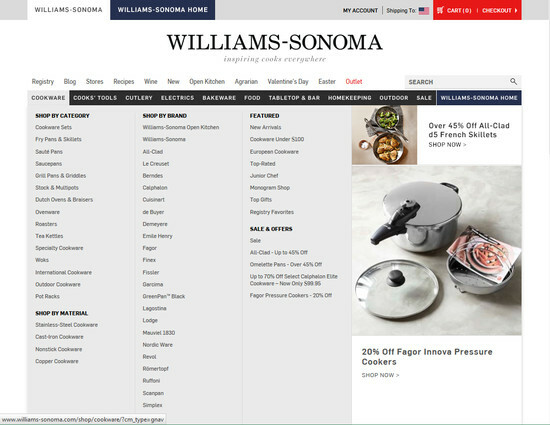 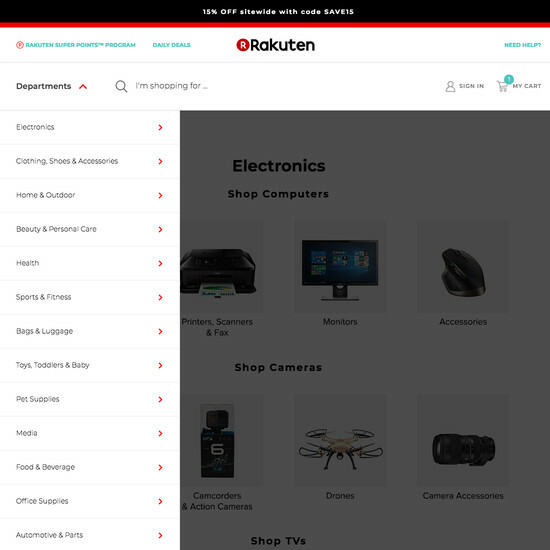 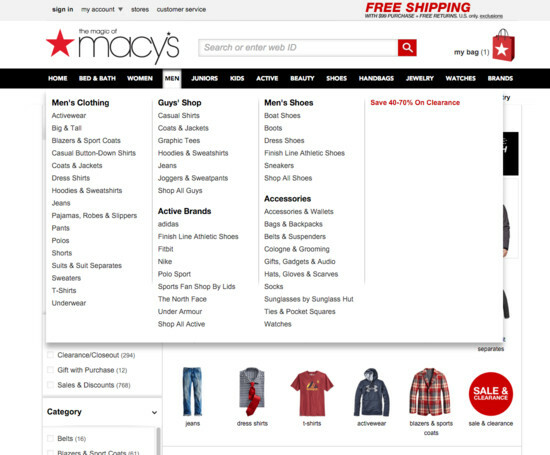 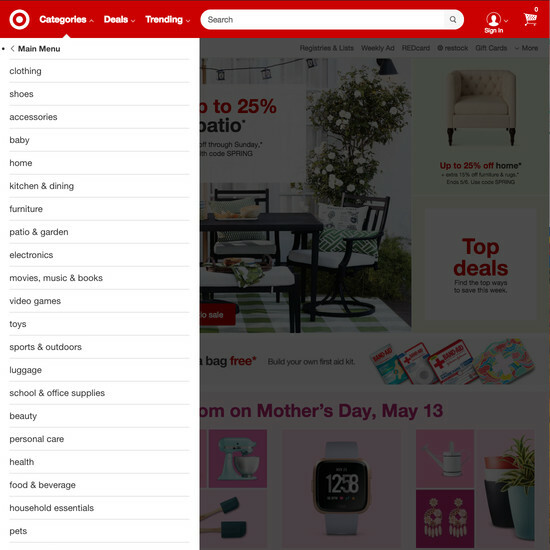 Hover-based drop-down menus (aka “mega menus”) are currently found at 88% of all top US e-commerce sites — yet our testing shows that they require the utmost attention to interaction details if they are to perform well for users. 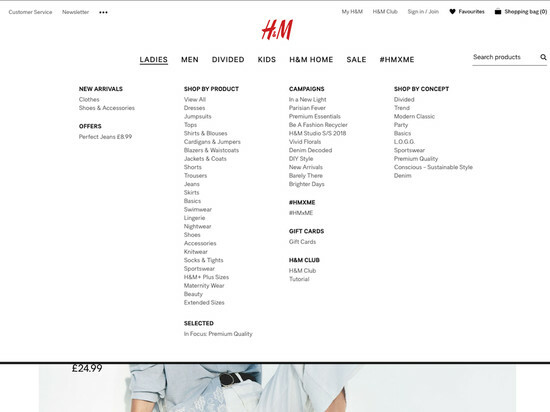 During our testing, what often at first seemed like minor navigation design details would end up severely misleading the test subjects. 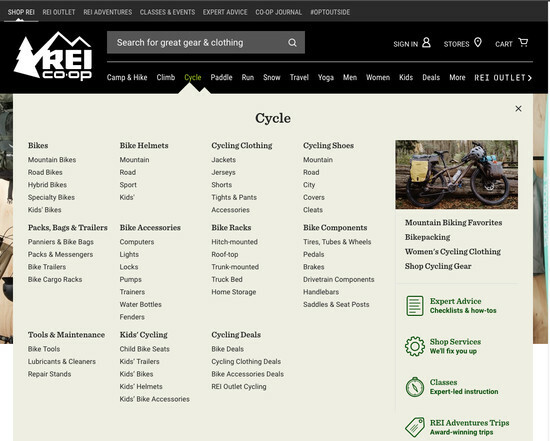 This led to fundamental misconceptions about the site’s hierarchy, selection of overly narrow scopes, inability to traverse back up to broader categories, etc. 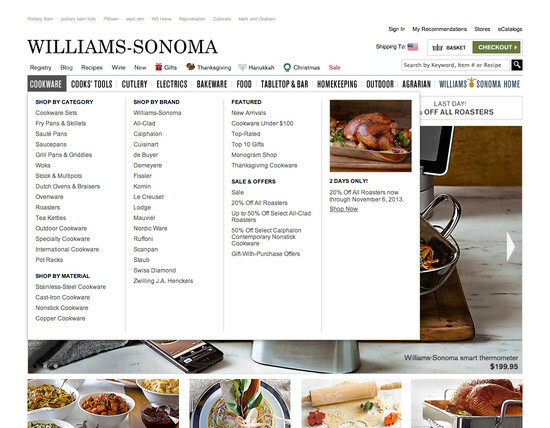 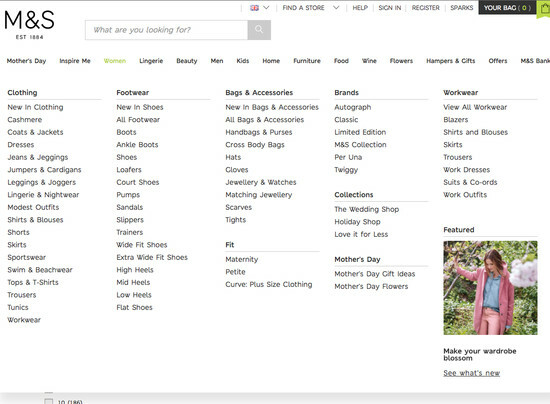 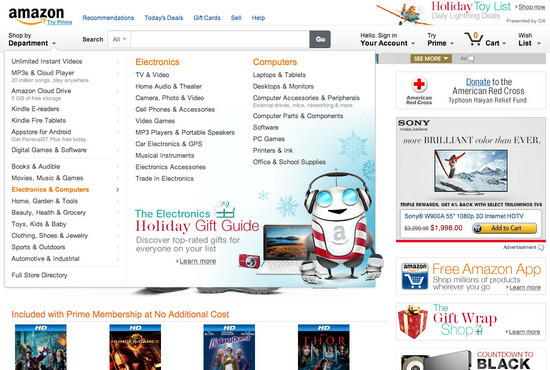 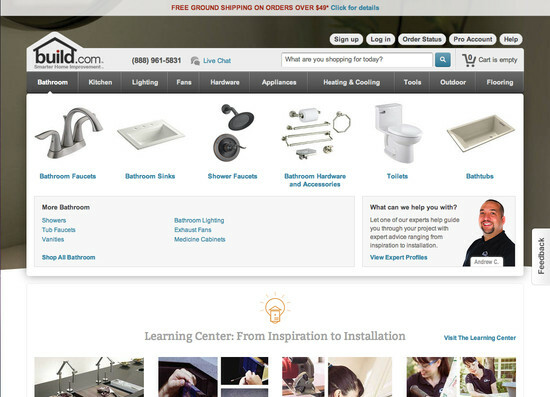 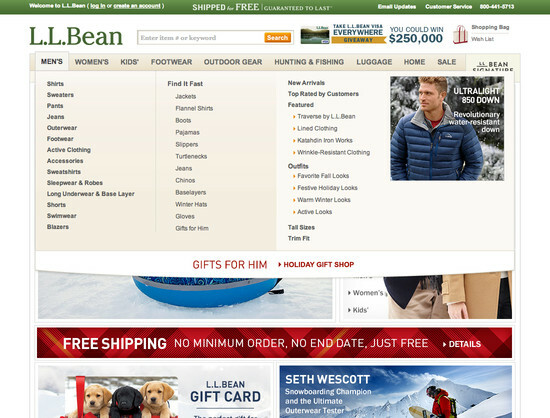 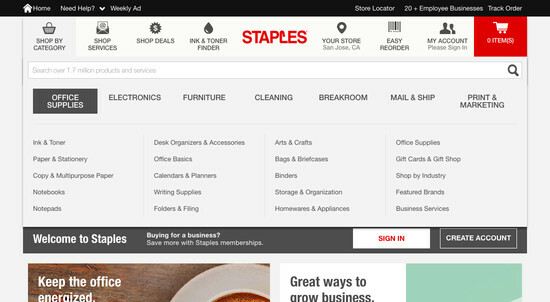 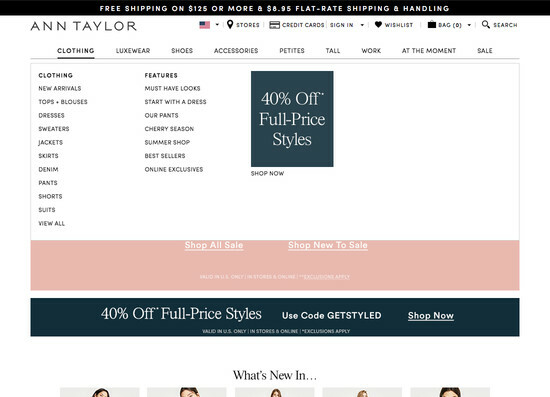 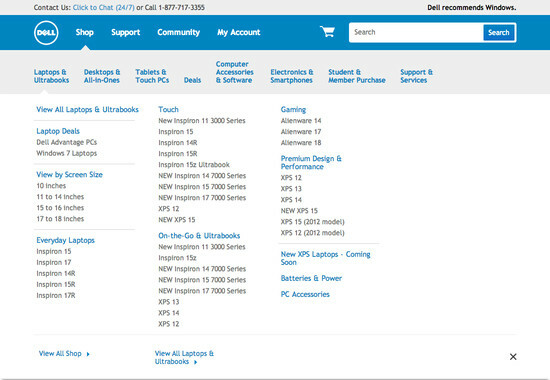 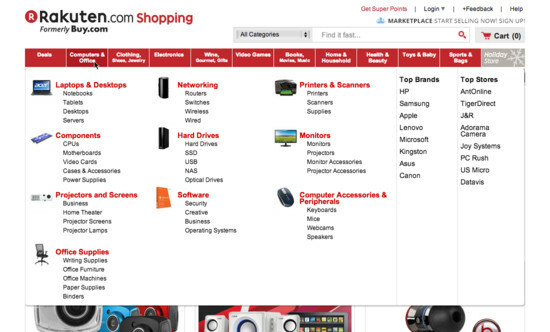 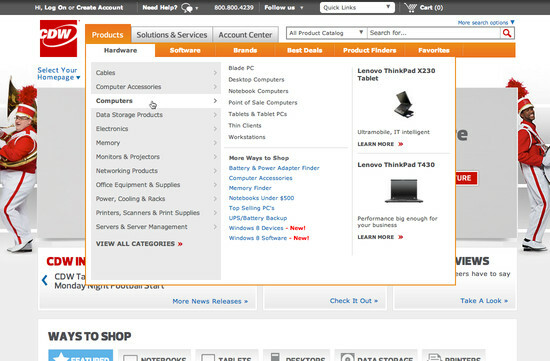 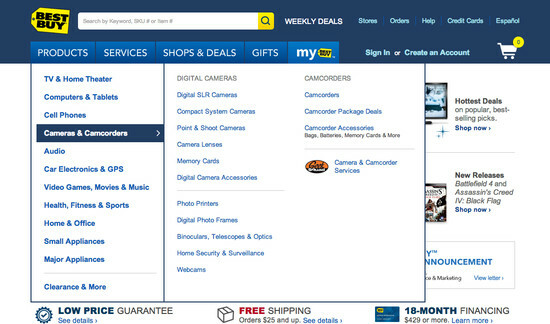 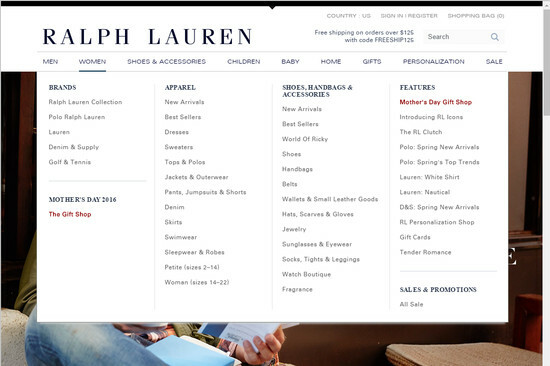 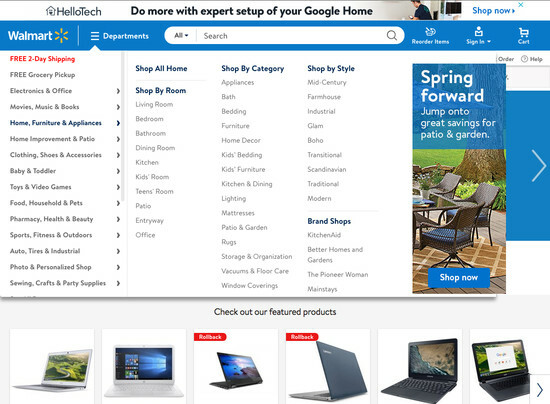 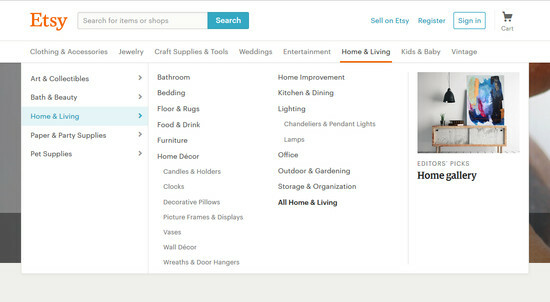 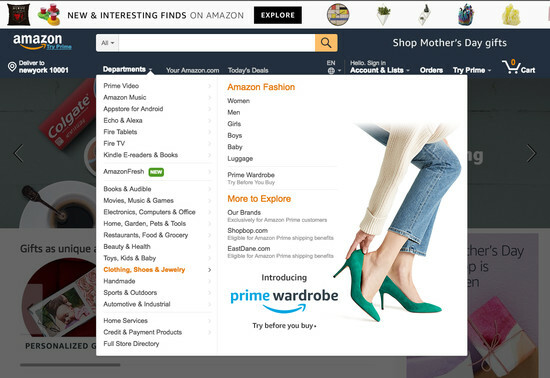 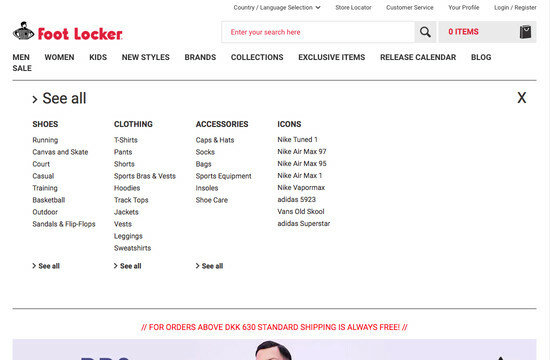 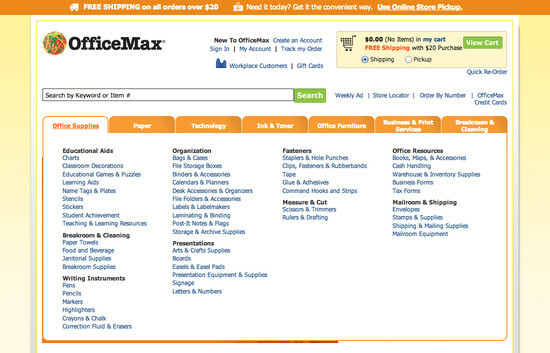 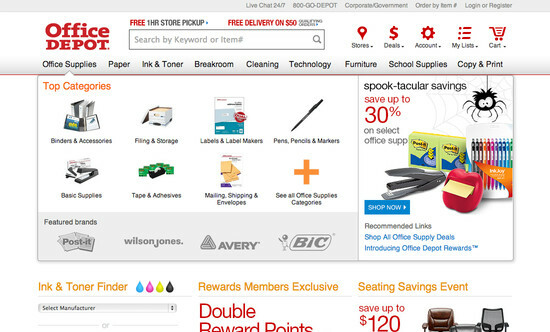 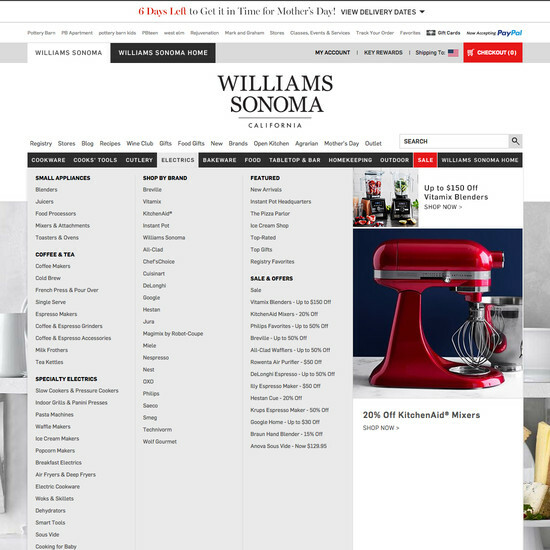 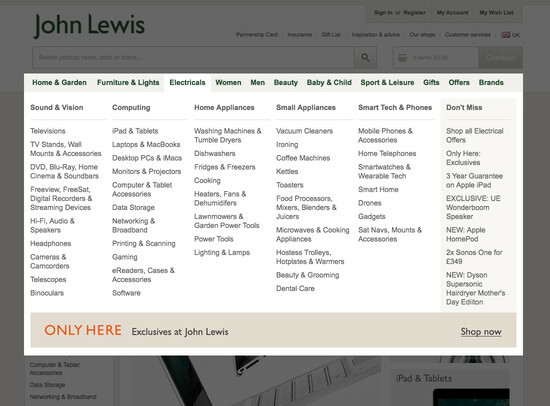 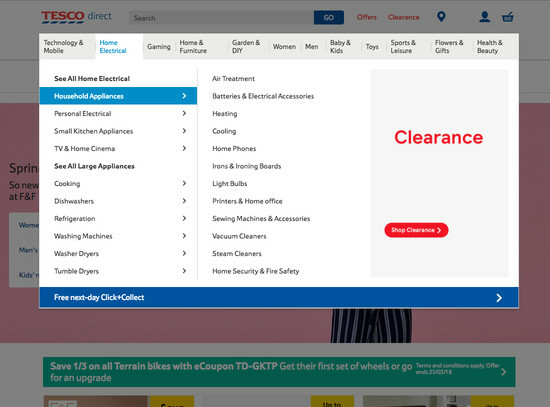 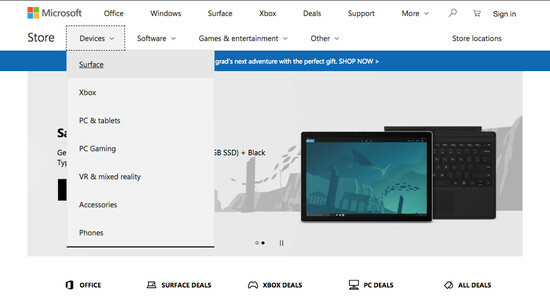 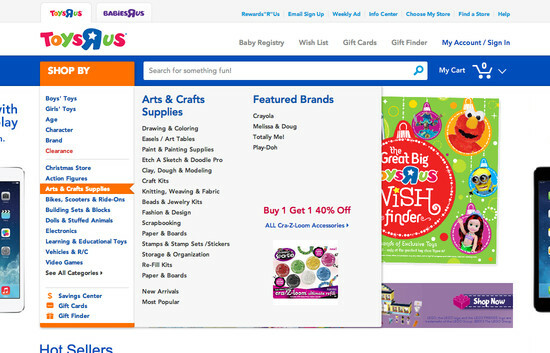 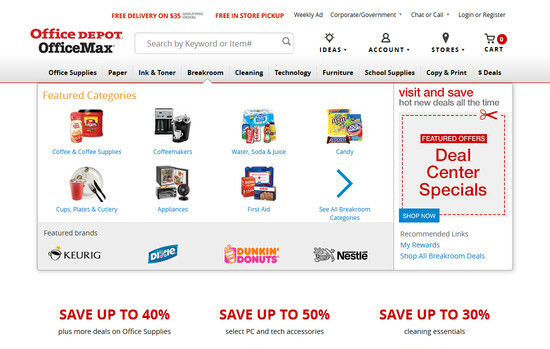 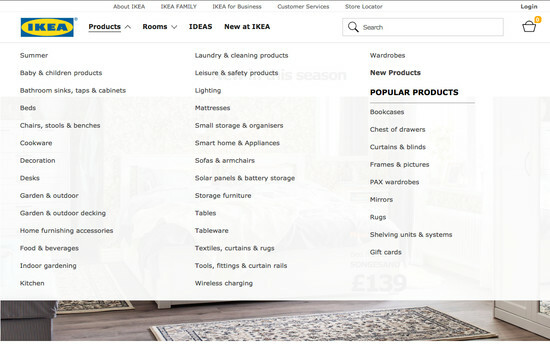 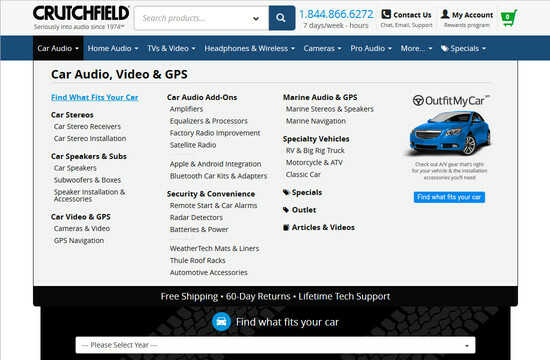 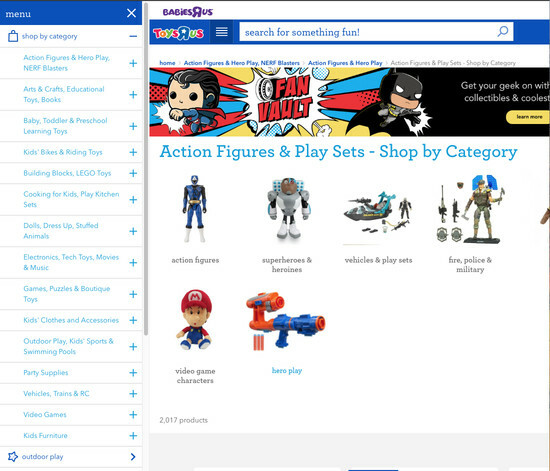 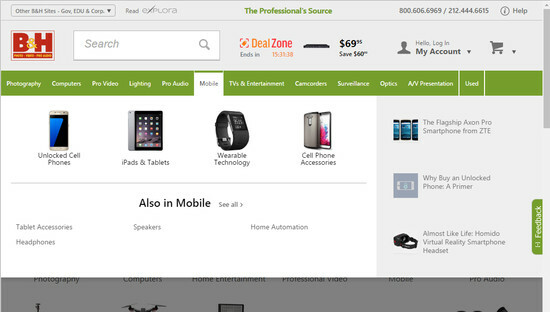 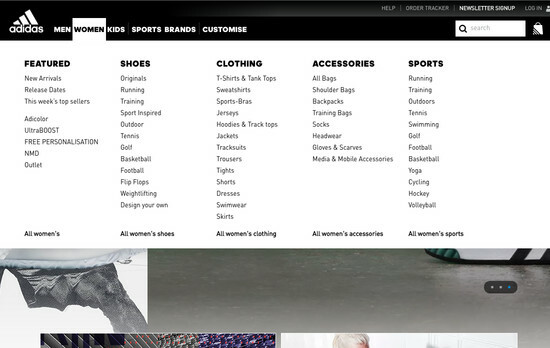 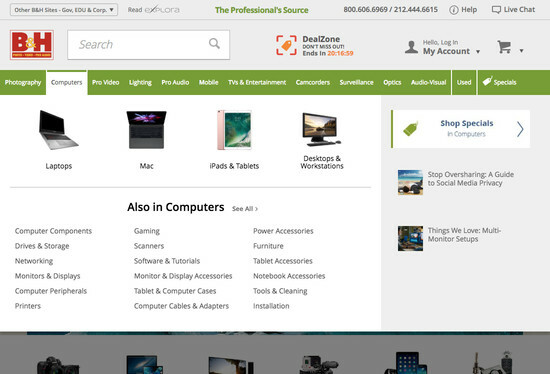 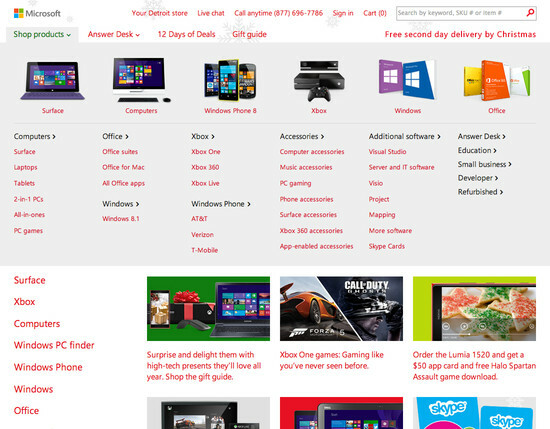 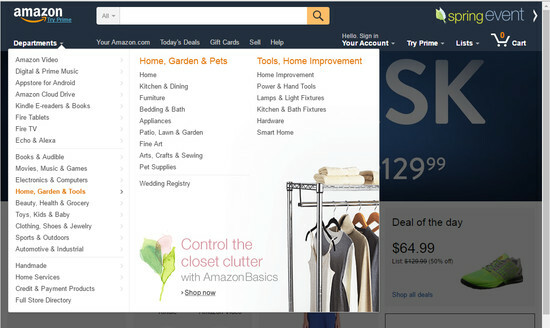 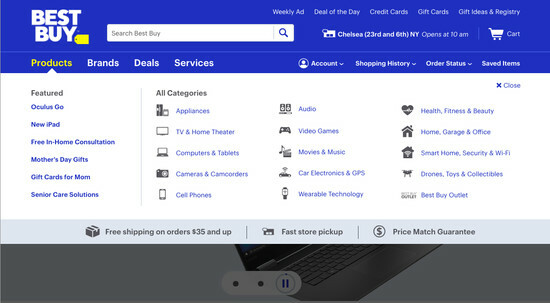 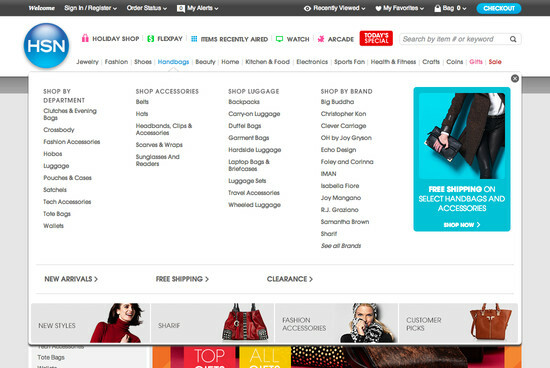 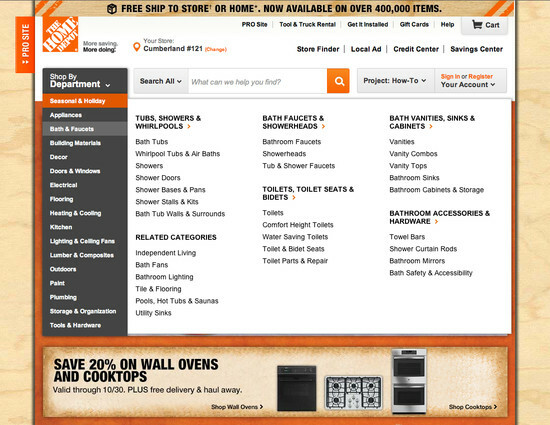 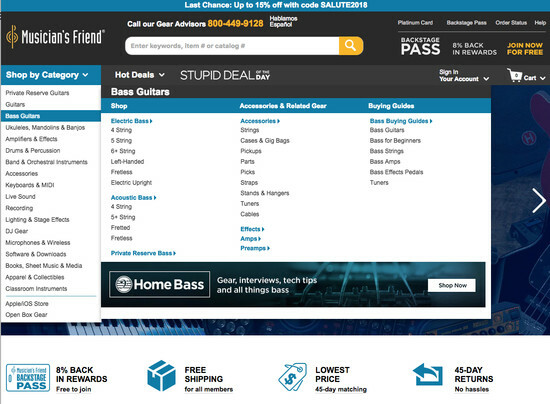 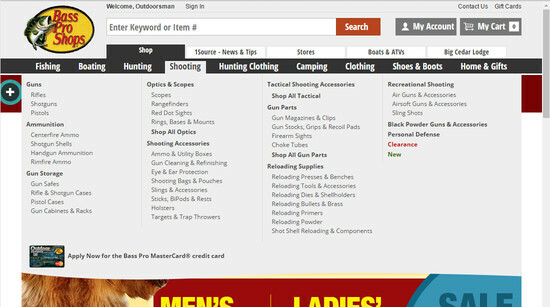 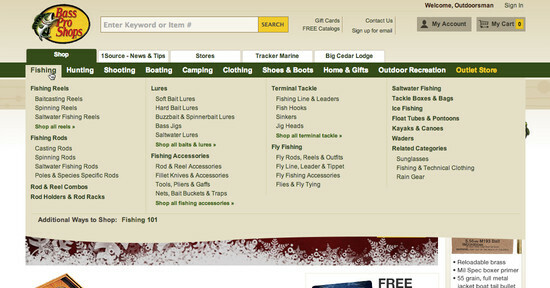 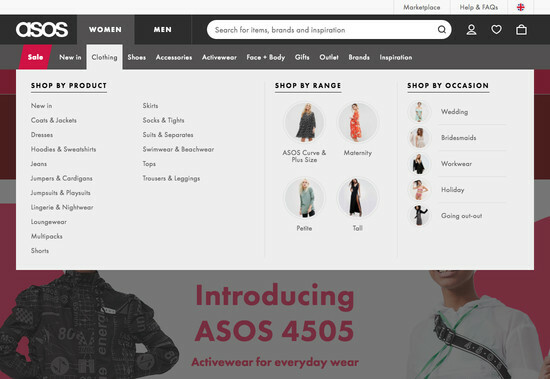 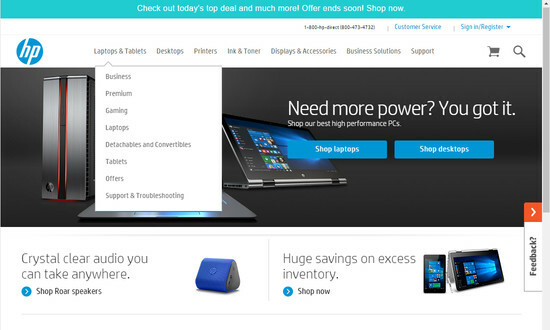 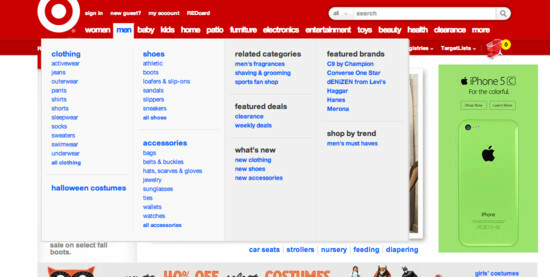 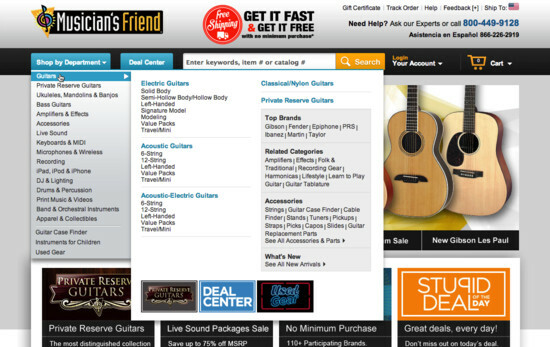 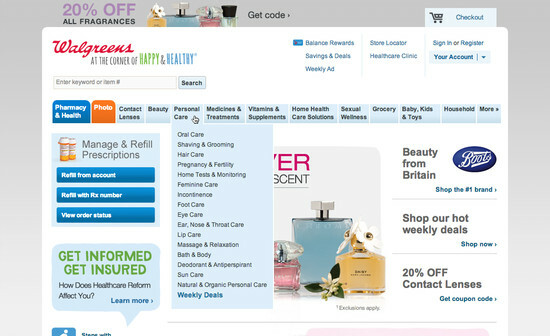 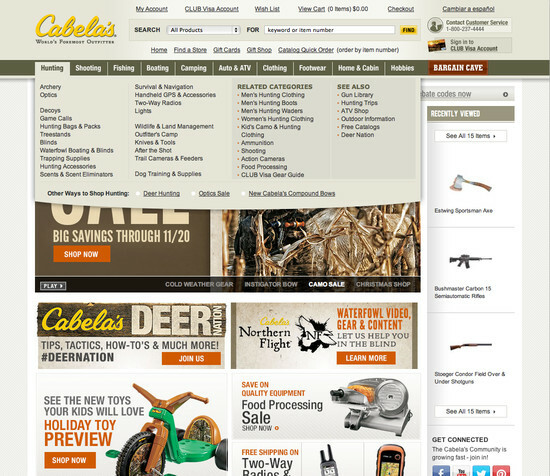 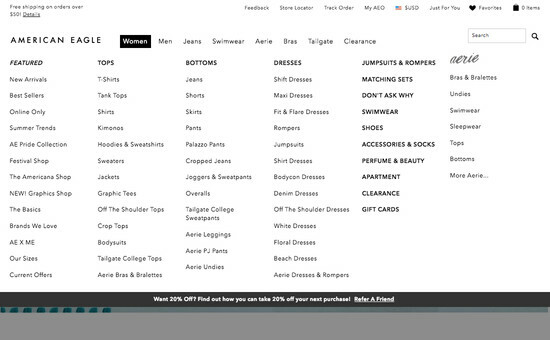 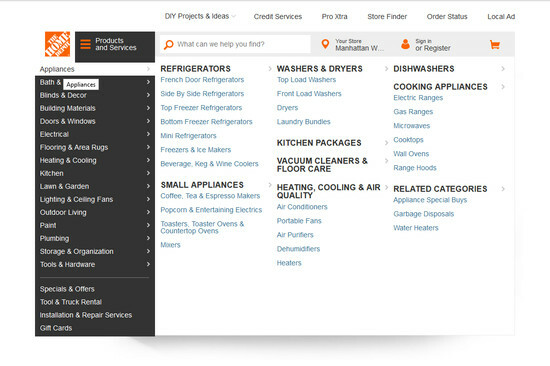 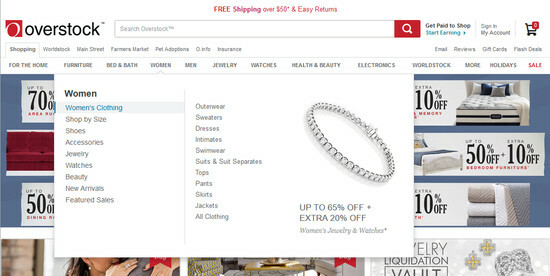 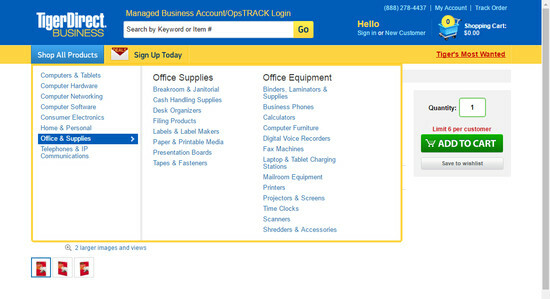 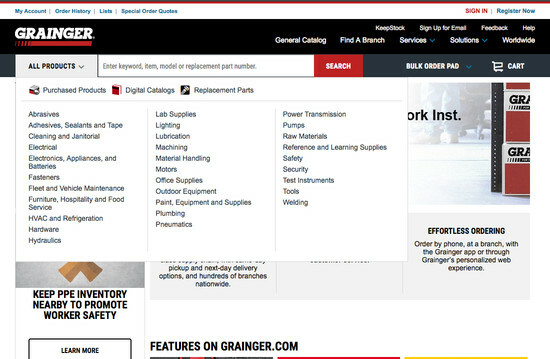 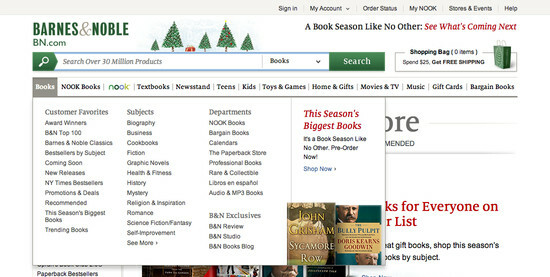 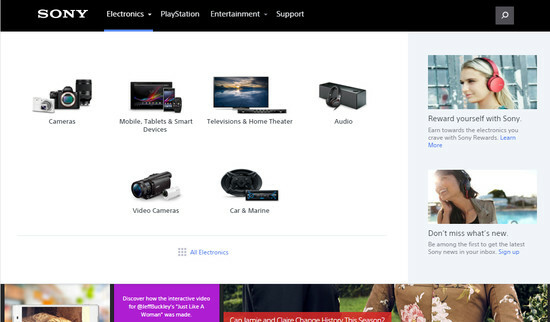 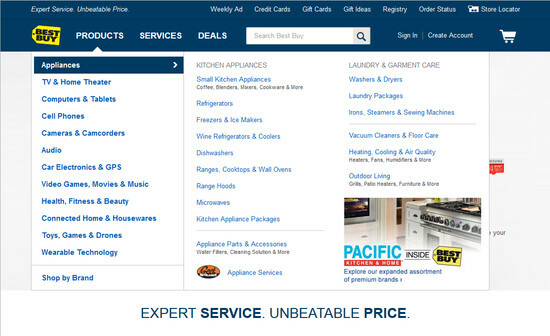 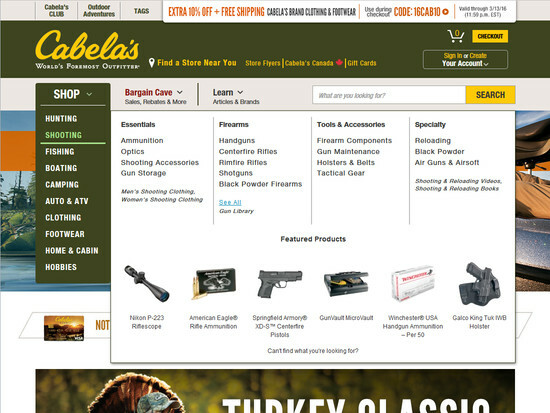 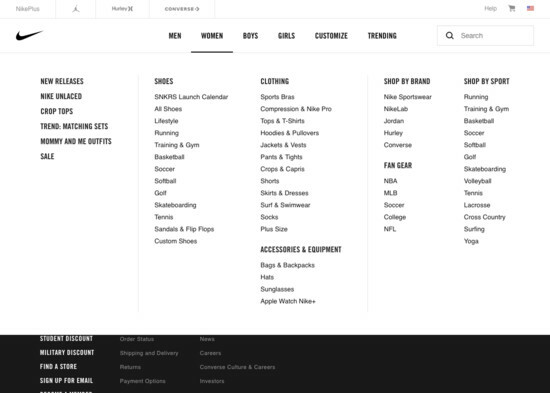 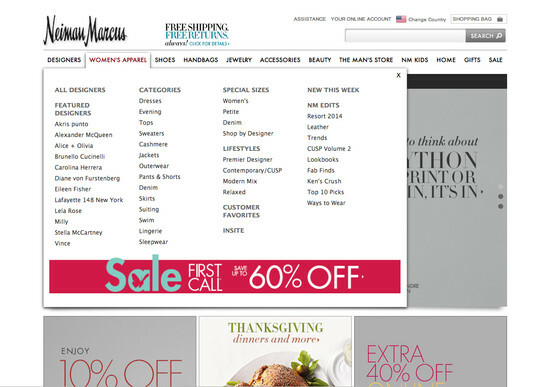 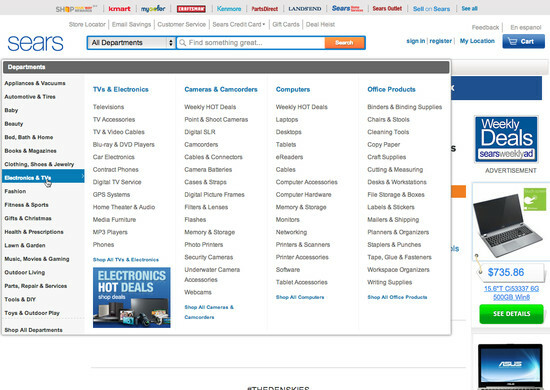 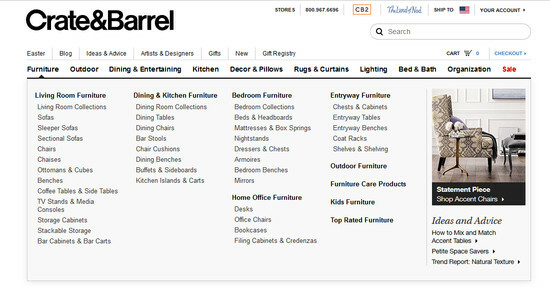 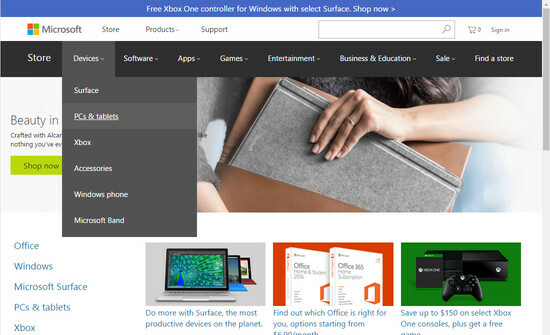 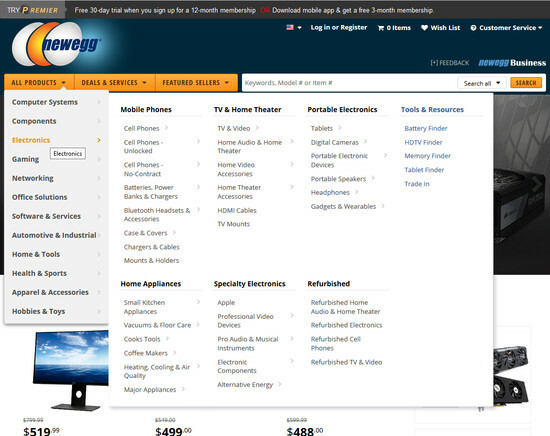 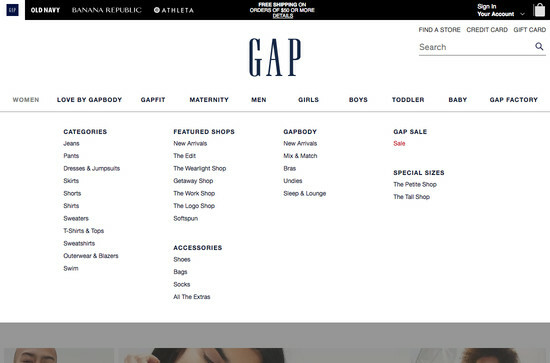 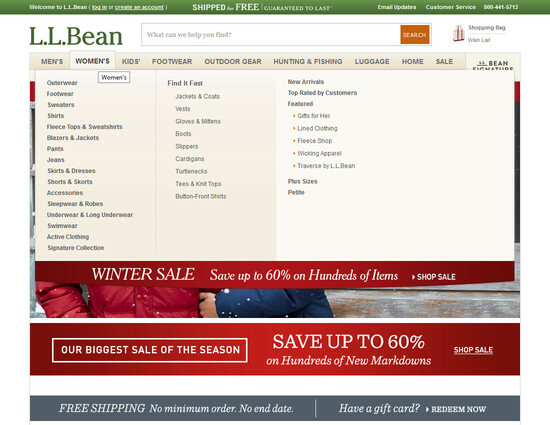 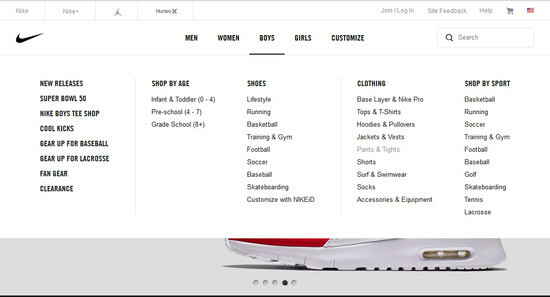 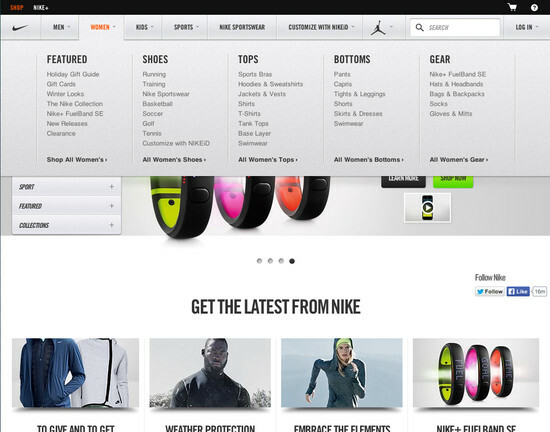 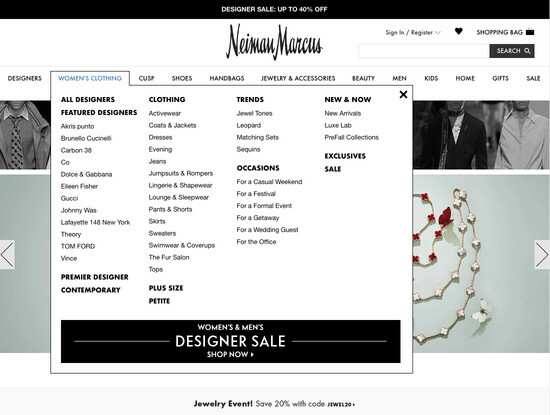 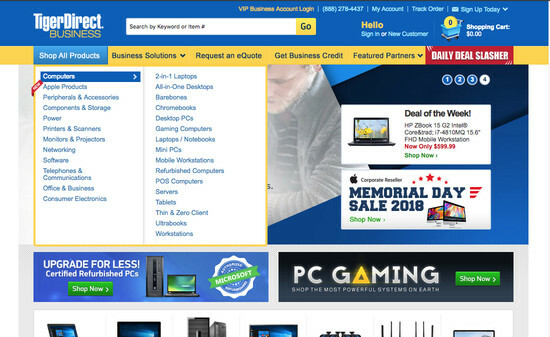 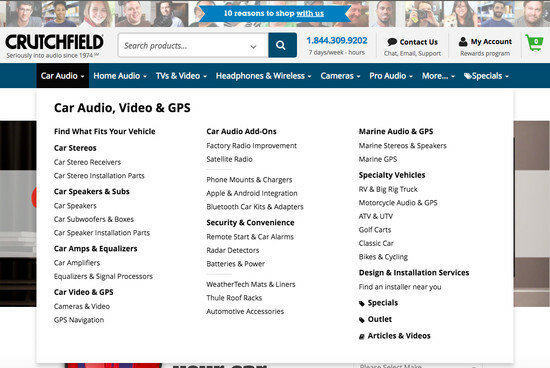 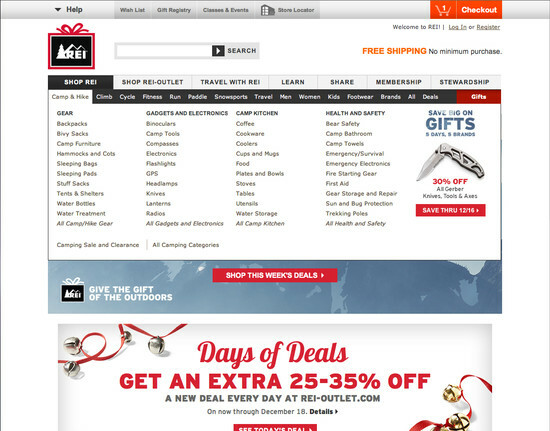 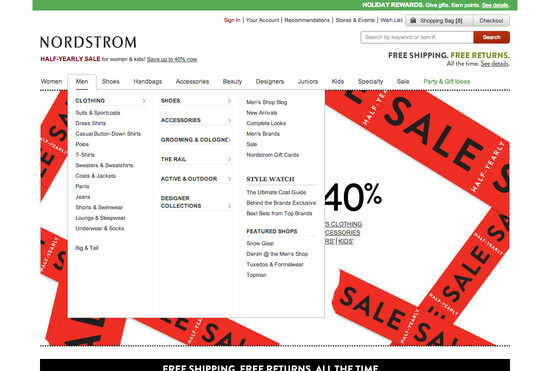 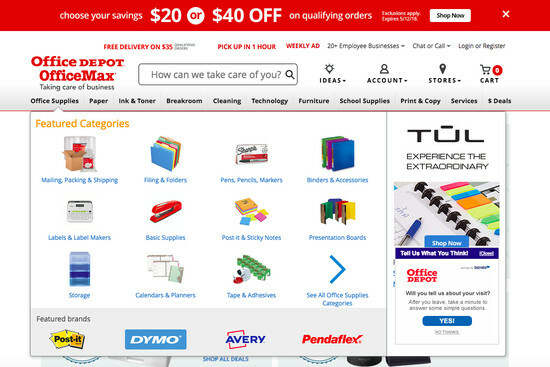 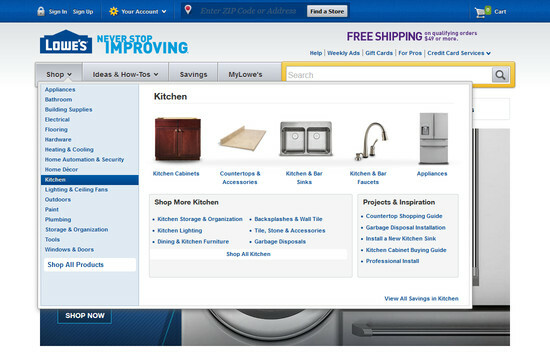 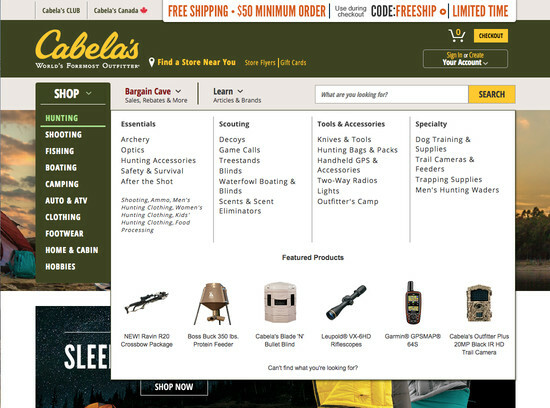 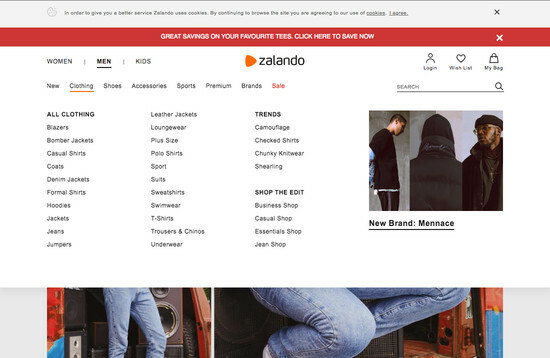 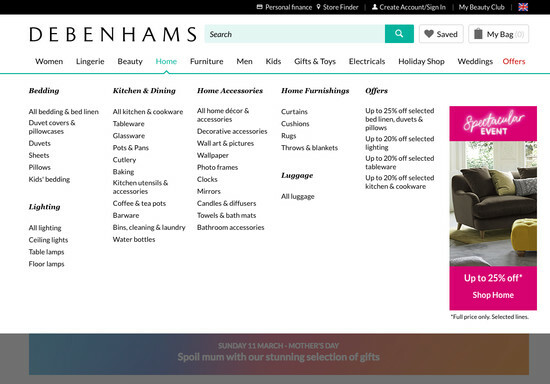 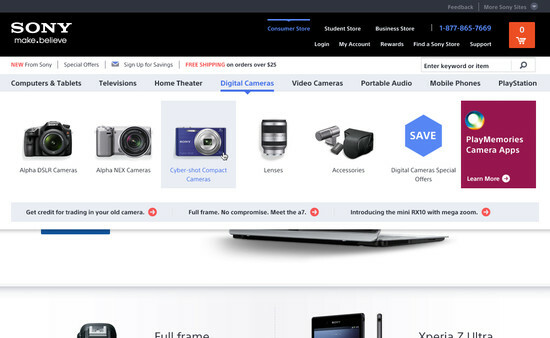 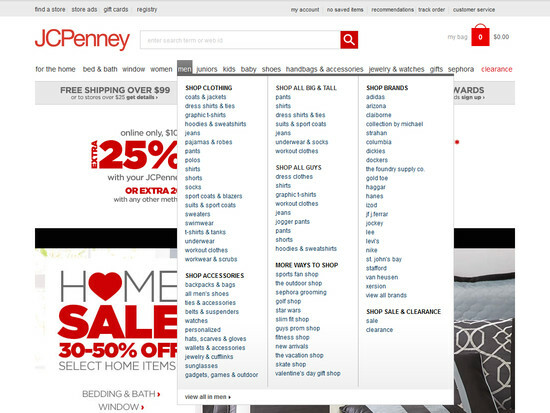 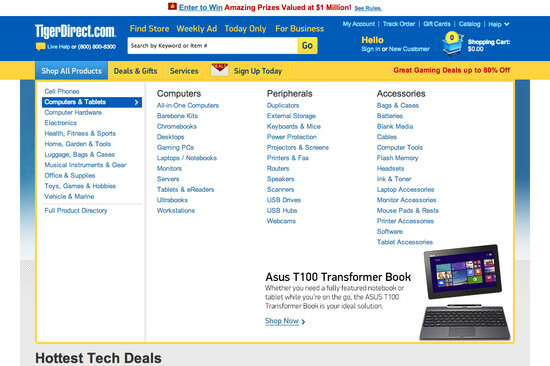 Learn More: Besides exploring the 147 “Drop-Down Menu” design examples below, you may also want to read our related articles on “43% of Sites Have Severe ‘Flickering’ Issues for Their Main Drop-Down Menu” and “E-Commerce Usability: The Main Navigation Should Display Product Categories (18% Don’t)”.